A friend of Peggy's (who wishes to remain anonymous) helped to build a playground with five other coworkers. Their company sponsored a 'giving back' project, where each person named a friend of family member who had recently passed as the 'sponsor' for their piece of the project. This playground was built at St Bernard’s Elementary School in Fitchburg, MA. 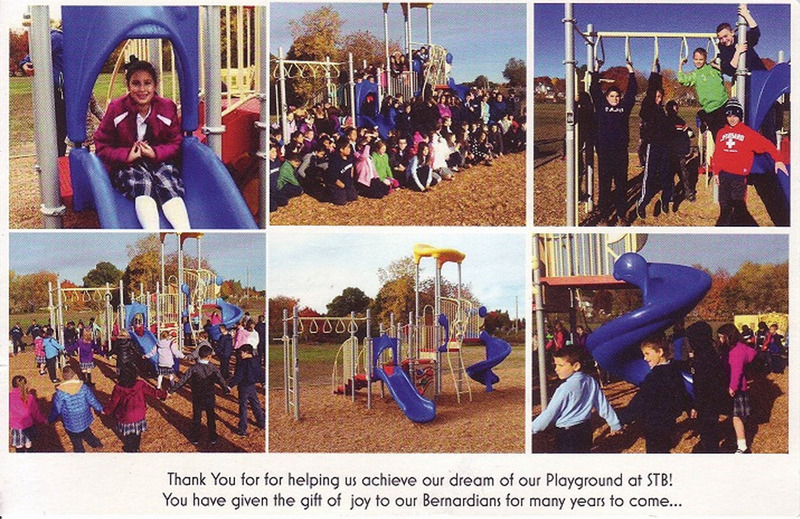 Below is a copy of the St Bernard’s Christmas Card, which shows 6 shots of kids from the school playing on the equipment they installed.